While you can get great views of the Atlantic Ocean from the coast of Amelia Island, why not get out there and explore the waters via boat this vacation? Amelia Island fishing excursions bring you right into the heart of the action. Feel the ocean’s swell rock the boat as you cruise through some top-tier fishing locations. Feel the tug of the line as a common local fish chomp down on the bait. The fishing charters on Amelia Island offer unrivaled sea adventures off the coast of Florida’s barrier islands. To get you started, here are some of the best Amelia Island fishing charters, what they offer, and what you can catch. Jeff Crumpton has carried his guiding experience from the waterways of West Virginia to the coastal beauty of Amelia Island. For 14 years he has cruised the waters here, guiding visitors on trips for redfish, trout, tarpon, cobia, bass, and sheepshead. He founded Amelia Island Charter Fishing, turning his small operation into a successful business, complete with a crew and a host of different fishing excursions. Some of his most popular trips include sightseeing redfish as they swim in the shallows on the floor tides and catching various sharks and tarpons in a few secret fishing locations in deeper waters. His boat of choice is a 2070 Lowes, equipped with top-grade Raymarine electronics. He and his team can provide you with all necessary equipment if you don’t have it. Charters are about $350 for a group of four for four hours. Half and full-day discounts can be applied. You can book an adventure with him today at 904-753-6379. Fishing charter excursions are available from 4 a.m. to midnight any day. Based on years of experience on Amelia Island, you can’t do much better than AC Charters. Captain Allen brings 40 years of Amelia Island fishing experience to the table, specializing in high-end fishing. This means a serious fishing experience appropriate for people who know what they are getting into. The team at AC Charters stresses big adventure and fishing fun, chasing down 50-pound kingfish, 40-pound barracuda, and massive tarpon, which can weigh up to 200 pounds. Anglers can also snag sharks, mahi mahi, wahoo, and amberjacks, among many others. AC Charters takes travelers to the rich Amelia Island oyster beds, a prime location for shallow water fish like cobia, flounder, and red bass. This is an adventure for serious fishing enthusiasts. Call 904-261-9481 for an Atlantic fishing experience like no other. Captain Terry Lacoss leads this renowned crew of travel enthusiasts. Here, fishing is just one of the activities offered. Visitors can also embark on other kinds of trips, such as sightseeing, sailing, or fishing. Though Captain Terry Lacoss is a serious fisherman, his focus with Amelia Island Anglers is to make fishing accessible to anglers of all levels. 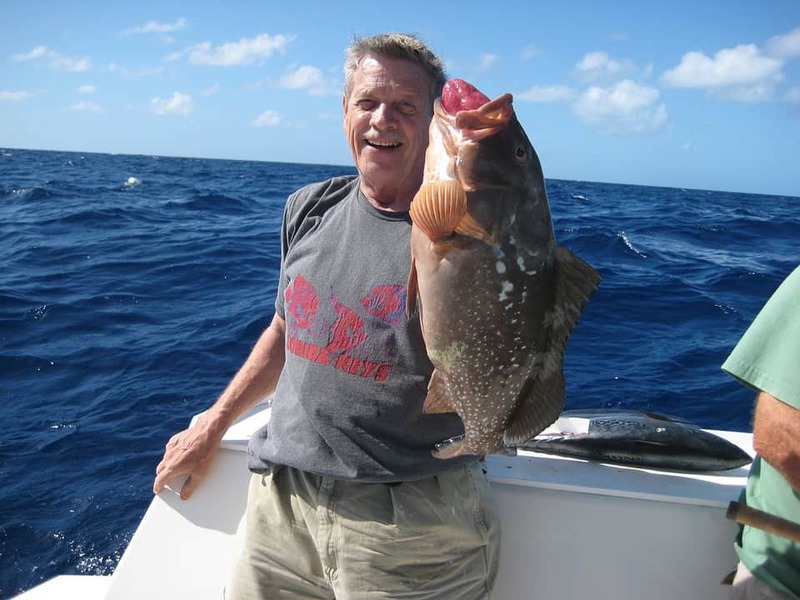 His deep-sea fishing excursions are in pursuit of top game fish in the area, including cobia, barracuda, and mahi-mahi. Aside from fishing, he offers group tours to nearby Cumberland Island, as well as sailing excursions and related activities for visitors who want an adventure at sea. His journeys take you to the uninhabited marshlands of the Amelia River. Call Terry and his team at 904-261-2870 for details and reservations. The best Amelia Island fishing charters include big game fishing and group sunset excursions. Amelia Island is one of the best places to fish on the east coast due to the mix of cool and warm waters present off the northern Florida coast. For extended stays on Amelia Island, explore our available Amelia Island vacation rentals. Take full advantage of every day here – you never know when you might reel in an impressive catch.